I’ve heard about Car Free Day but never experience it in person. 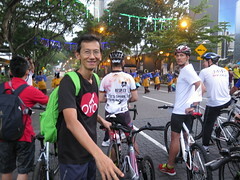 Thanks to the invitation from URA, I had the opportunity to participate in the 10th edition of KL Car Free Day last Saturday. I went with a team of URA, LTA, SLA, SDCF and Mr. Peter Ong, the Head of Civil Service, to study how the KL Car Free Day is organized. It was an eye opener for me. 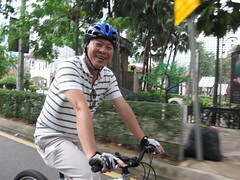 How was it like cycling on KL Car Free Day? 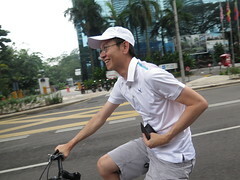 Cycling on the car free four lanes road through the CBD area felt like a dream. 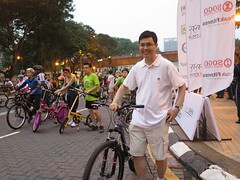 I saw many happy faces from young to old, including cyclists, skateboarders, in-line skaters and joggers. It felt like a big celebration in the city. 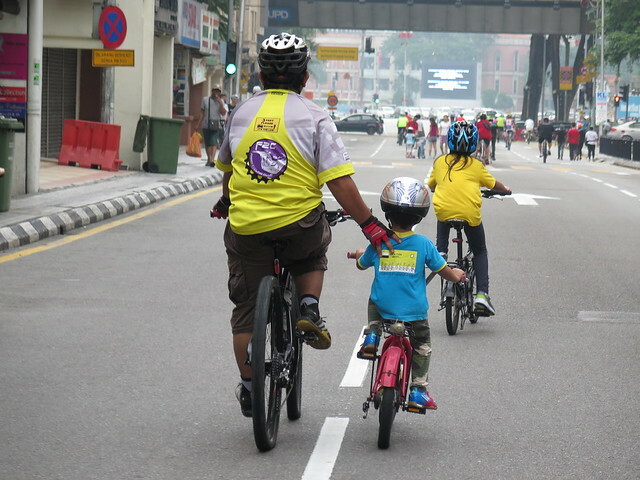 According to Datuk Naim Mohammad, the Chairman of Cycling Implementation Committee, the monthly Car Free Day (7-9am) typically attracts 10,000 participants. Despite the initial skepticism, the complaints from motorist has dropped and more stake holders are finding ways to sponsor and capitalize on this popular event. What are the benefits of Car Free Day? Apart from reducing carbon emission, Car Free Day provides the opportunity for citizen to experience the transformation of public space from car-dominant to car-free. In many cities, such events help to inspire people to consider more use of green mobility such as bicycle for joy, health and efficiency. 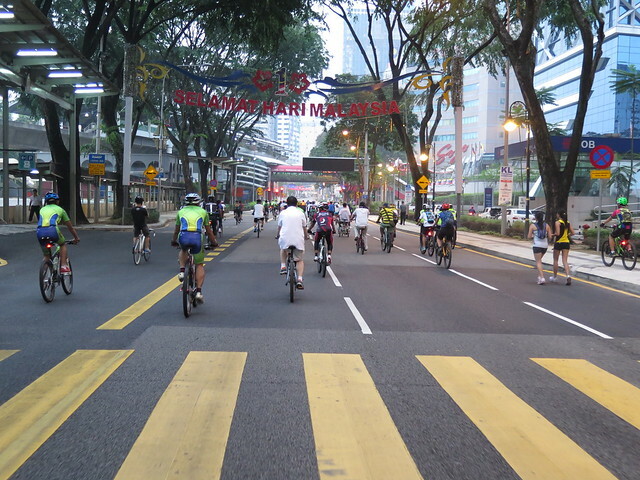 In Singapore, the CBD area is mostly quiet with little traffic during the early Sunday morning. 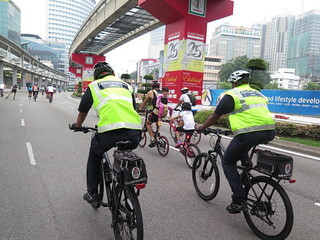 A Car Free event during this time can be a great way to optimize the usefulness of limited space in Singapore and provide a wonderful opportunity for everyone to experience the city in a completely different way. The next question is how? 1) Closing off the entire road is safer and easier than closing only one or two lanes. 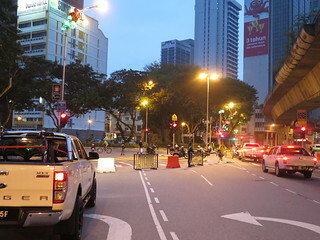 2) Road blocks and road marshals at strategic positions such as the entrances of the closed segments of the roads. 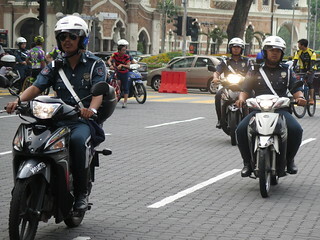 3) Safety: Traffic police on motorcycle to clear the roads before and after the event. 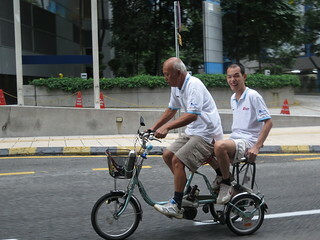 Safety riders are deployed along the way. Ambulance and first aid team standing by in case of any accident. 4) Participants gathered at the starting point to wait for the flag off. It was a natural one-way flow and that’s safer than bi-directional traffic. 5) Getting support from business and the shops/hotels in the affected area helps to make the event more sustainable. 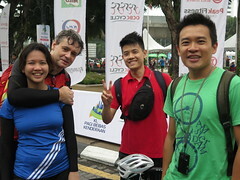 – The Car Free Day event can become an attraction for hotel guests. The hotel just need to provide a few bicycles, minimum investment. 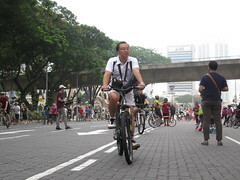 Can we have Singapore’s own Car Free Day any time soon? I certainly hope so! 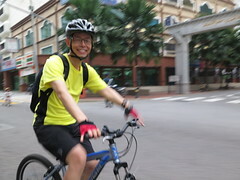 Judging from the happy faces of the Singapore team it seems the idea of a Car Free Day in Singapore may come sooner than later. 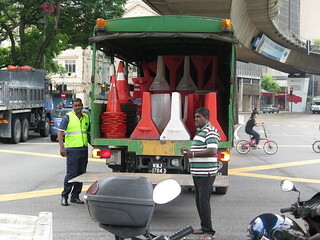 Photos below includes staff from URA, LTA, SLA, SCDF and Head of Civil Service. 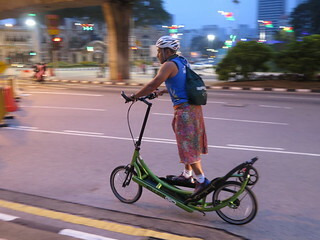 Do you think Car Free day is a good idea for Singapore? Where would you like to see it happen? 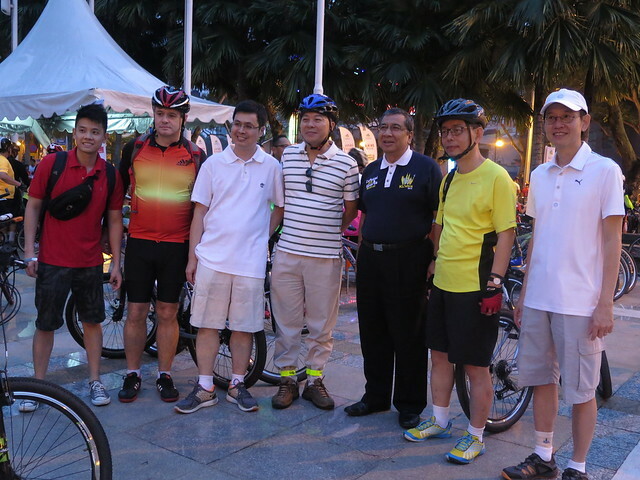 Singapore study team meeting with Datuk Naim Mohammad, the Chairman of Cycling Implementation Committee, KL Malaysia. 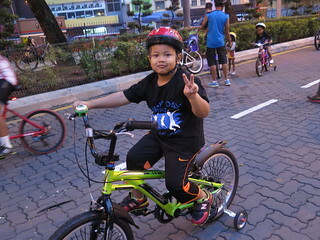 This entry was posted in Car Free, News and tagged Car Free Day, KL, URA on 2014-10-10 by Francis. 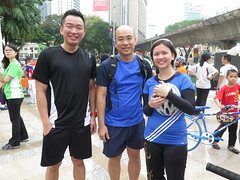 Thanks Lucy, it was great meeting you and I hope our own Car Free Day won’t be far away!